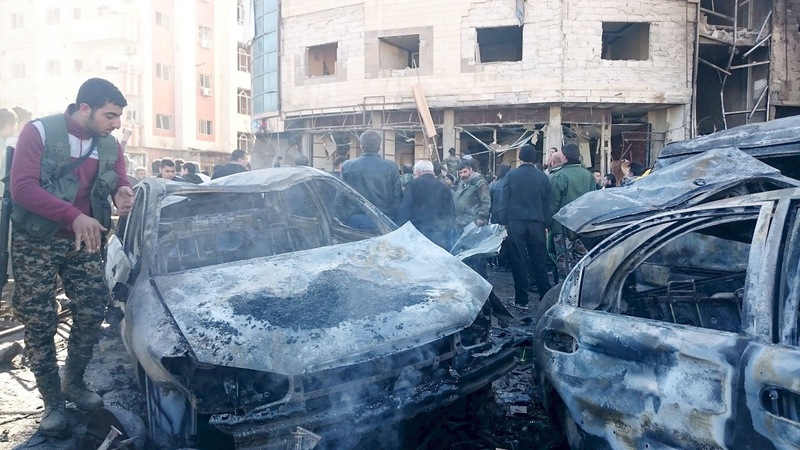 Damascus, Jan 31 - More than 50 people were killed and 110 others wounded today in three bomb blasts near the revered Shiite shrine of Sayyida Zeinab outside the Syrian capital Damascus, state media said. 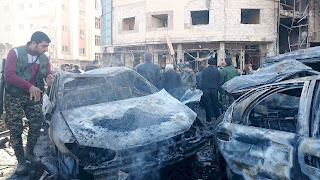 The blasts, which came as the UN's Syria envoy struggled to convene fresh peace talks in Geneva, tore a massive crater in the road, overturning and mangling cars and a bus and shattering windows. 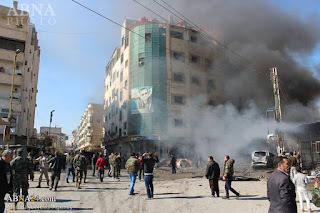 Syrian state media said more than 50 people had been killed in three blasts near the Sayyida Zeinab shrine, with some 100 people wounded. 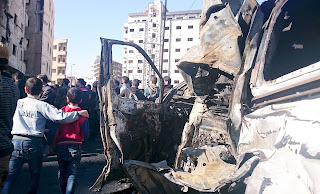 Official news agency SANA said the first blast was caused by a car bomb that detonated at a bus station near the shrine. It said two suicide bombers then set off their explosive belts when people gathered at the scene. An AFP photographer said the explosions damaged the facade of a nearby building, scorching all of its six storeys. Sayyida Zeinab, south of Damascus, contains the grave of a granddaughter of the Prophet Mohammed and is particularly revered as a pilgrimage site by Shiite Muslims. It has continued to attract pilgrims from Syria and beyond, particularly Shiites from Iran, Lebanon, and Iraq, throughout the nearly five-year war. In the aftermath of this morning's attack, smoke rose from the twisted carcasses of more than a dozen cars and a bus, as ambulances ferried away the wounded and firefighters worked to put out blazes. In a statement circulated on social media, IS claimed responsibility for the attacks, saying two of its members had detonated suicide bombs. "Two soldiers of the caliphate carried out martyrdom operations in a den of the infidels in the Sayyida Zeinab area, killing nearly 50 and injuring around 120," it said. 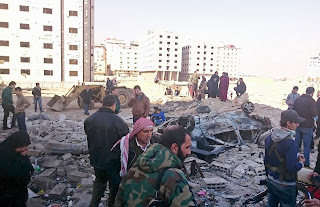 The area around the shrine has been targeted in previous bomb attacks, including in February 2015 when two suicide attacks killed four people and wounded 13 at a checkpoint. 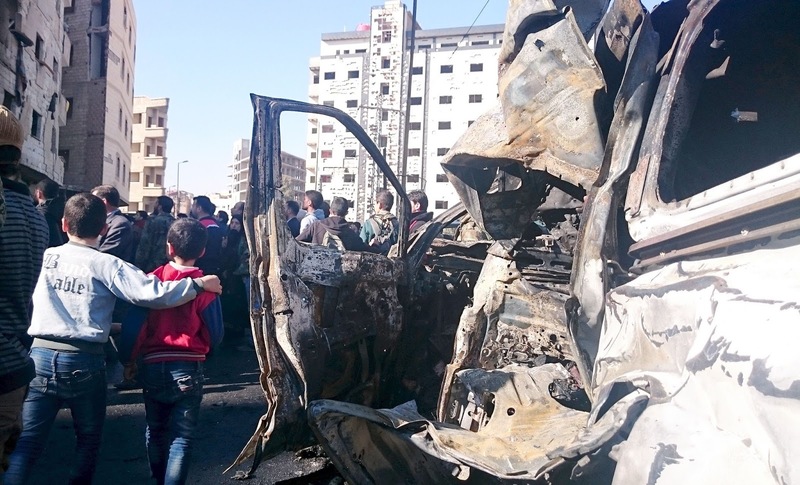 Also that month, a blast ripped through a bus carrying Lebanese Shiite pilgrims headed to Sayyida Zeinab, killing at least nine people, in an attack claimed by Al-Qaeda affiliate Al-Nusra Front. The area around the shrine is heavily secured with regime checkpoints set up hundreds of metres (yards) away to prevent vehicles from getting close. According to the Syrian Observatory for Human Rights, members of Lebanon's powerful Shiite militant group Hezbollah are among those deployed at the checkpoints. Early on, the group justified its intervention in Syria by citing the threat to Sayyida Zeinab. 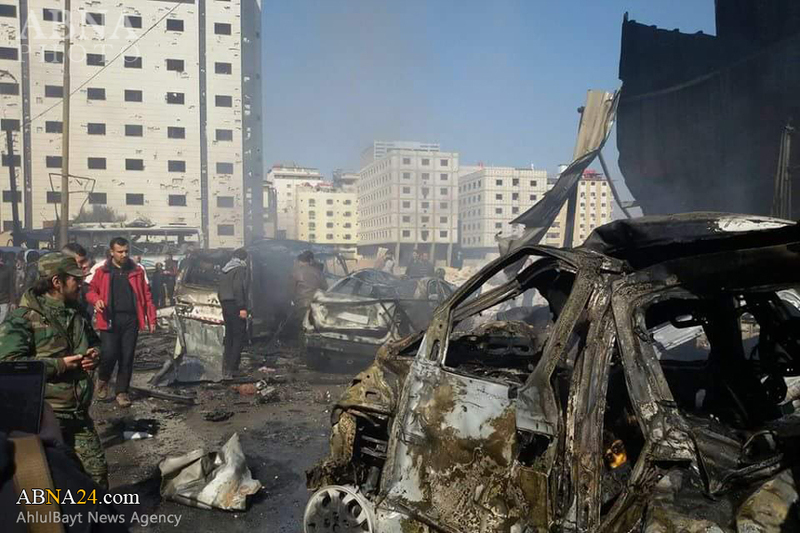 The Britain-based Observatory said 58 people were killed in today's blasts, among them 20 civilians, including children. It also said 25 non-Syrian Shiite militants were among the dead, without specifying their nationalities. 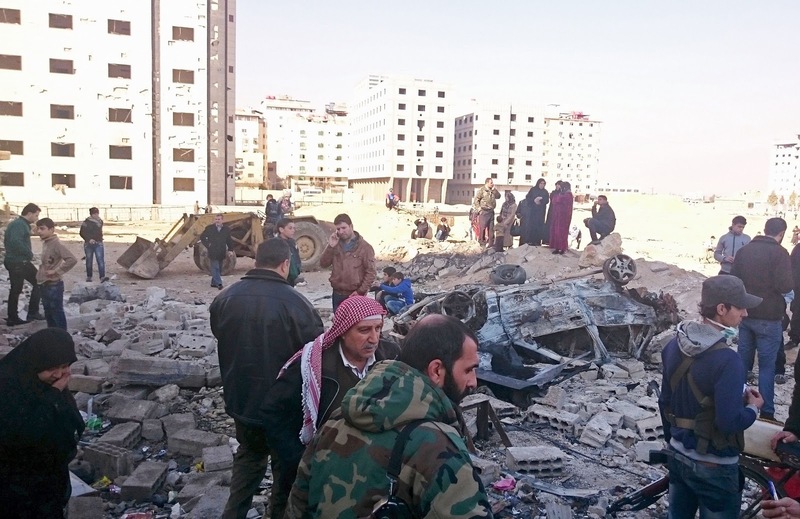 More than 260,000 people have been killed in Syria's conflict, which has also displaced upwards of half the country's population internally and abroad.